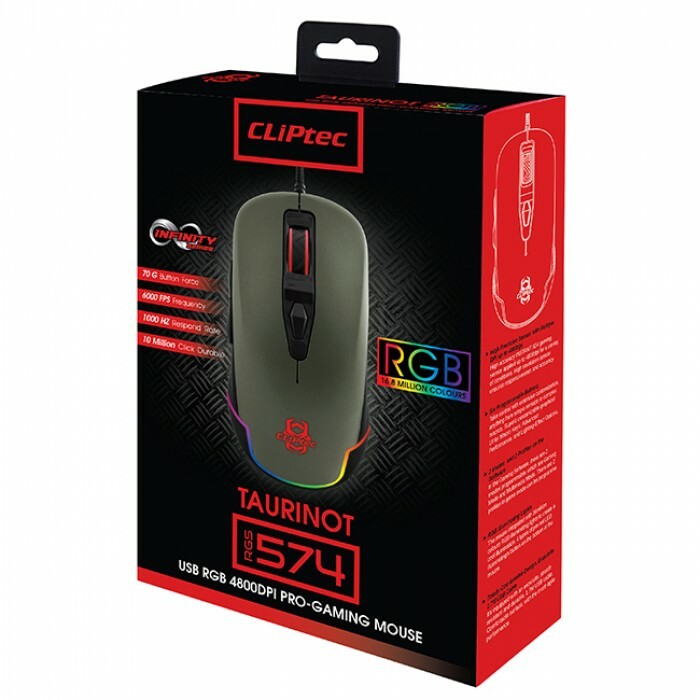 High accuracy INSTANT 824 gaming sensor applied up to 4800dpi for a variety of conditions. 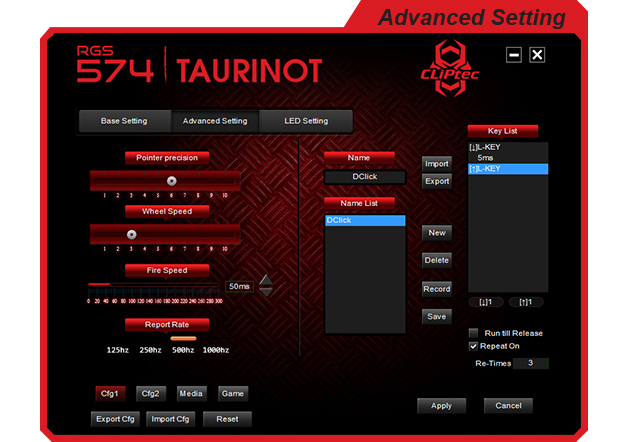 High resolution sensor ensures responsiveness and accuracy. 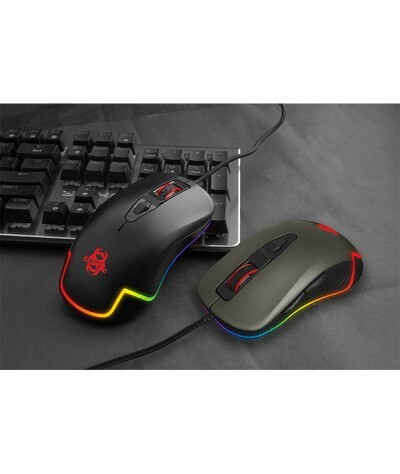 In the gaming software, there are 2 modes programmable, which are Gaming Mode and Multimedia Mode. 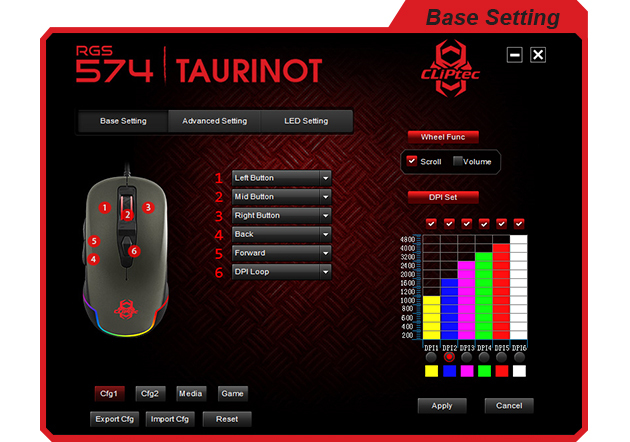 There are 2 profiles in game mode can be programme. 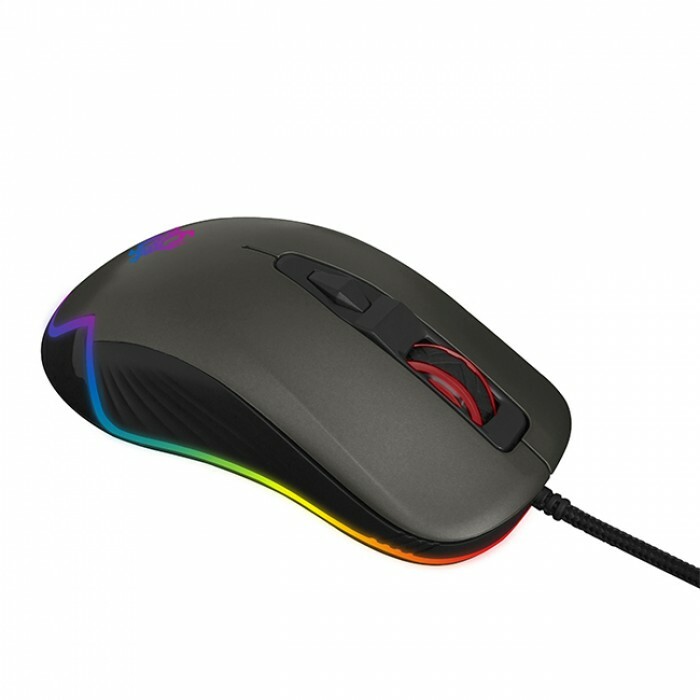 The mouse integrated with 16 million colours RGB illuminating lights to create a cool illumination. 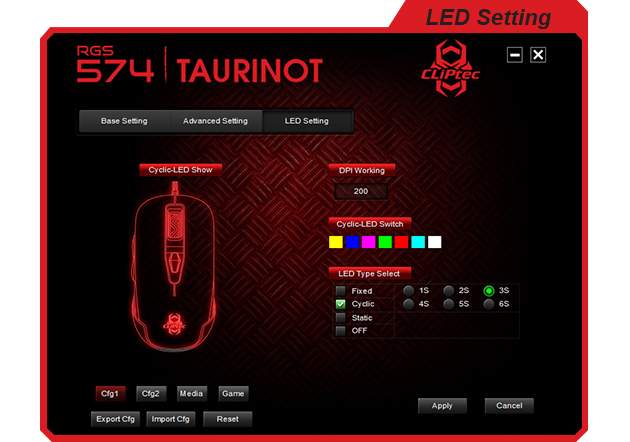 4 types of pre-set LED illuminating's button on the bottom of the mouse. 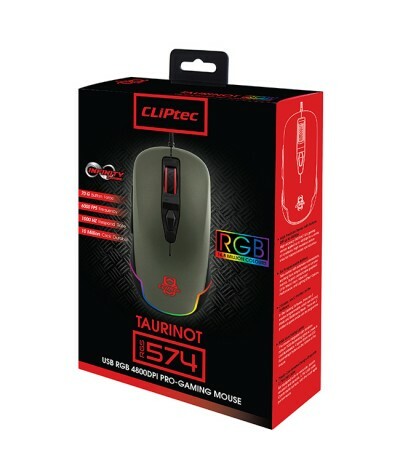 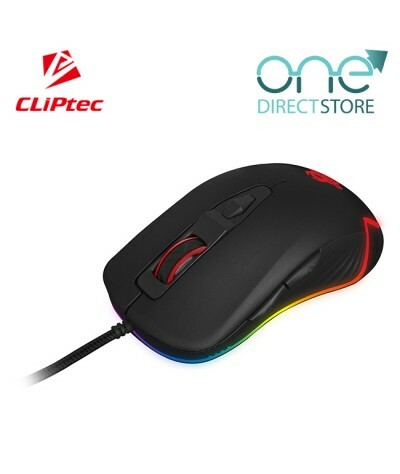 CLiPtec Infinity Series RGS574 USB RGB 4800dpi Professional Gaming Mouse is for all level gamers to enhance you scored for shooting, strategies and fighting games. 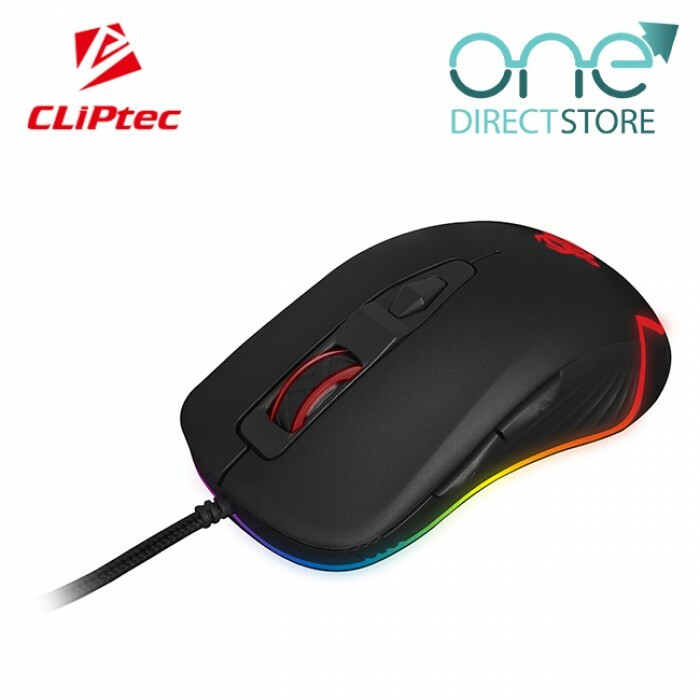 Integrated with Instant 824 chipset features an advanced 4800dpi gaming engine, and it is switchable between 1000/1600/2400/3200/4000 and 4800dpi depending on your gaming needs. 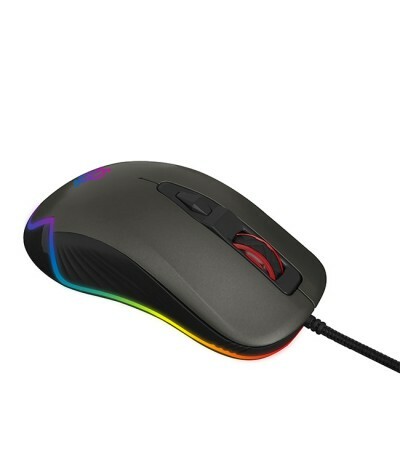 Uses an enhanced long-lasting button lifecycle with 10 million times, it's durable and solid. As added feature, the breathing illuminated 16 million colours light design provides you a top fighting atmosphere even in a dark environment. 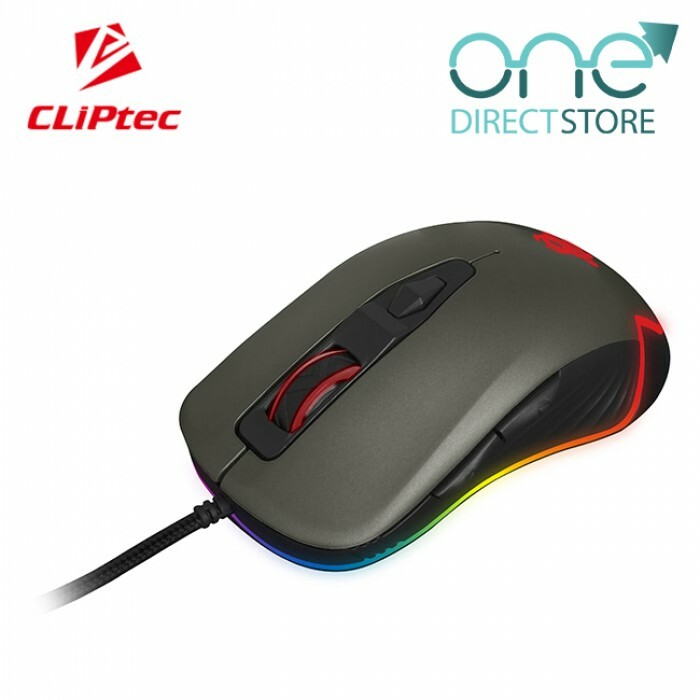 6 programmable buttons and wheel to can be control with extensive customization, anything from simple remaps to complex macros in the gaming software.